ICCC will be developed under the Smart Cities Mission. 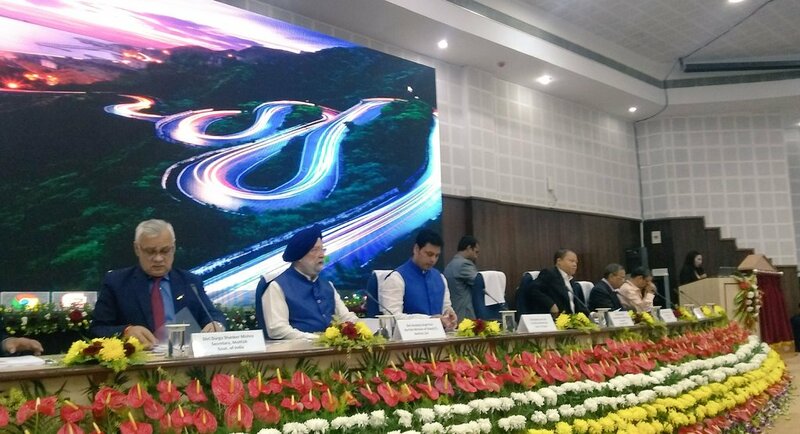 The MoUs were signed in the presence of Union Minister of State for Housing and Urban Affairs Hardeep Singh Puri and Tripura Chief Minister Biplab Kumar Deb. Before signing the MoUs, a two day review meeting for Pradhan Mantri Awas Yojana (PMAY), Atal Mission for Rejuvenation for Urban Transformation (AMRUT), Smart Cities Mission, Swacch Bharat Mission and the DAY-NULM were held. These command centres will be set up in Imphal, Itanagar, Pasighat, Kohima, Namchi, Gangtok and Shillong. “Namchi city of Sikkim has made tremendous progress in implementation of Smart City Mission. Tripura has also done excellent work by sanctioning 100 per cent of the demand, among which 60 per cent houses were grounded,” said Puri at the event. Tripura is already developing its Smart Cities with an assistance of Rs 400 crores from Asia Development Bank (ADB). Tripura’s Chief Minister also announced setting up of Agartala-Akhaura Integrated Check Post (ICP) to treat the sewage water before it passes into Bangladesh. The entire State Annual Action Plan (SAAP) for the North-East States envisaging an investment of Rs 1506.62 crore has been approved. While projects worth Rs 332 crore are under implementation, projects worth Rs 21.37 crore have been completed so far.The state of Manipur has awarded contracts for almost 100% of the projects approved under SAAP. Credit rating has been completed in 8 Mission cities. Tripura has replaced all targeted 34,500 streetlights with LED lights and Meghalaya has exceeded the target for new water tap connections by installing 10,168 connections. The Online Building plan approval system( OBPS) has been implemented in 436 AMRUT cities. A total of 85 projects worth Rs 1371 crore have been taken up under NERDUP. A total of 49 projects worth Rs 824 crore have already been completed.